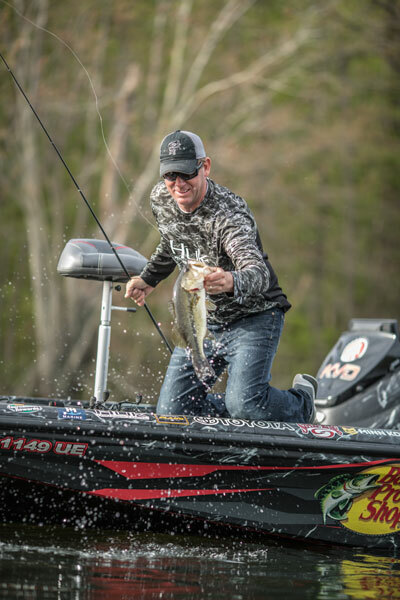 Jordan Lee, Rick Clunn and I are the only anglers who have won back-to-back Classics. If I were to be fortunate enough to win the 2019 Bassmaster Classic, I’d be the only angler who has won five Bassmaster Classics. I remember my first Bassmaster Classic win in 2001. I’d already fished in 11 Classics before that, and I’d won Bassmaster’s Angler-of-the-Year title three times. The Classic was held in New Orleans, Louisiana, under the threat of a hurricane that was out in the Gulf of Mexico. The bass fishing conditions were challenging. I finally won it. 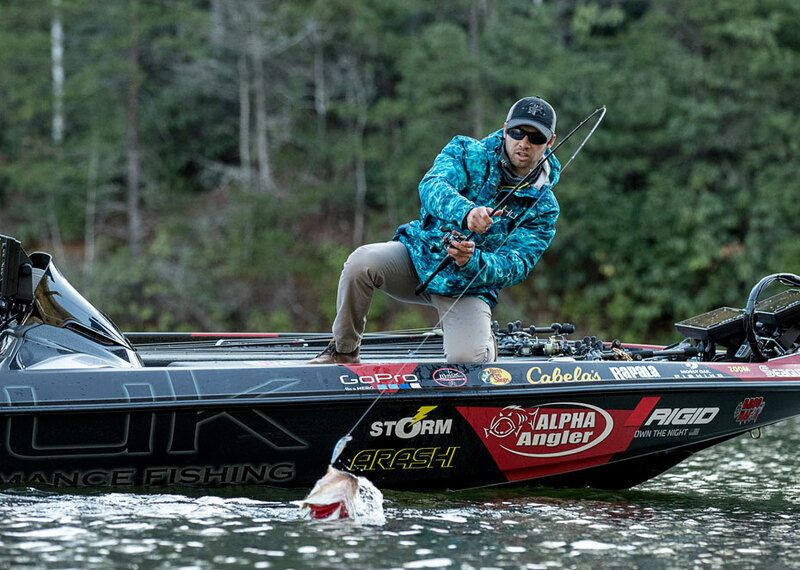 Winning Angler of the Year is a big accomplishment, but winning the Classic is equal to winning the Super Bowl of bass fishing. That Classic win was definitely a milestone for me and my bass fishing career. At that time, I’d already won a number of tournaments, but winning my first Classic was the pinnacle of bass fishing - a huge win for me. In 2005, I fished a summertime Classic in Pittsburgh, Pennsylvania. It was the toughest, most intimidating and mentally challenging Classic ever in the history of Bassmasters. I only caught a limit of five bass one day during that 3-day tournament. My three-day limit was less than 13 pounds, and that was three days of very hard bass fishing. That tournament solidified my position as a pro bass angler, because at that time, only a handful of fishermen had won two Classics. That Classic also presented another challenge. It was in a northern venue, and I had a number of family members and friends there. But having them all there to share that win with me was really a thrill. We went to Birmingham, Alabama, for the 2010 Classic. This early spring tournament was on Lay Lake, and the weather was cold. I’d already won Angler of the Year for 2010. I caught all the bass I weighed-in from the back of one creek. I had a lot of spectator boats following me. The spectators really helped me though, because the creek was so small the spectator boats blocked anyone else from coming into that creek. I felt I had the perfect game plan for that tournament, which enabled me to win my third Classic. At that time, the only other fisherman who had won more than two Classics was Rick Clunn. All the other tournaments I’d won up until this time were of course important, however, this tournament was a very important win for me and my family. The fourth Classic I won in 2011 was one of the best Classics ever. We returned to New Orleans, Louisiana, where I’d won my first Classic. I was Angler of the Year again in 2011 and the defending Classic champion from the previous year. We’d had very cold weather during this Classic, and the Classic competition days hit right on a warming trend. The bass were in a shallow bay, and they were really big bass. I caught numbers of large fish on the first day, and each day of the Classic, the bass fishing got better and better. I really dominated this Classic, especially on the final day, and by 10 a.m., I knew I’d won the Classic. Every Classic I’d won in the past had been a nail-biter. Generally, I didn’t know until the last minute of the we igh-in whether or not I had won. What was really neat, and what I remember the most was that as my boat was pulled in to the arena, I was able to sit back and enjoy the moment with seeing my family in the stands. Also winning that fourth Classic meant Rick Clunn and I were the only two anglers in the world who had won four Bassmaster Classics. I think the fourth Classic was the most special for me, because I’d gotten older and had learned to appreciate those once-in-a-lifetime wins far more than I did the other three. I knew that was one of the very best days of bass fishing I’d ever had in my life. My weight for that Classic was 69 pounds and a few ounces for three days of fishing. On the last day, the five bass I’d caught weighed-in at about 28 pounds. I think my 3-day total is still a record for the most pounds of bass weighed-in at any Classic. 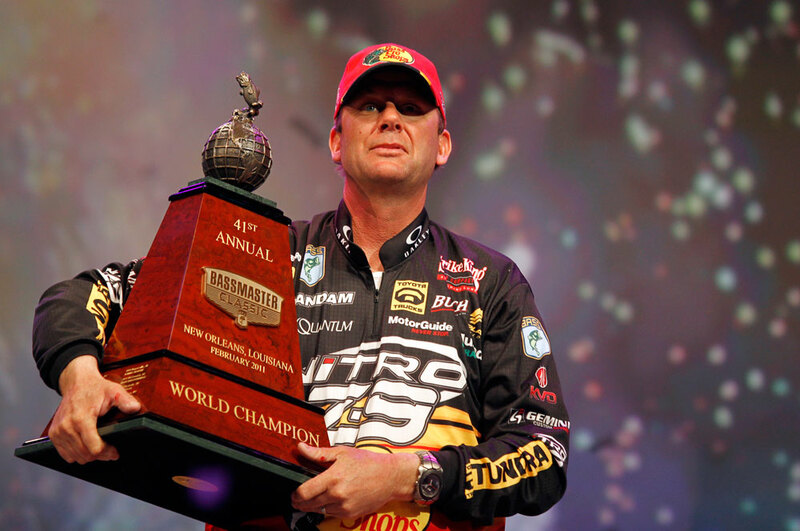 I've won seven Bassmaster Angler-of-the-Year titles, and one Angler of the Year with FLW. What makes the 2019 Bassmaster Classic so special is that it may be my last Bassmaster Classic to fish. I'm not fishing the Elite Bassmaster Series this year. So, I’m looking forward to enjoying this year’s Classic, especially since it’s on the Tennessee River. I have plenty of experience fishing the Tennessee River, but I've never fished this particular part of the Tennessee River – Fort Loudoun and Tellico. I’ve never even seen it. The conditions that this area has had all winter long have been rainy and cold, and the water is high, muddy and cold. So, bass fishing conditions will be very challenging, and the river will change often, even for people who’ve fished there previously. I believe this will give me an advantage. I deliberately haven’t pre-practiced for that reason, due to fishing conditions changing so much at this time of the year and on this portion of the Tennessee River. I've learned that I fish best when I fish in the moment. I’ll put together my game plan when I get to the river and assess the conditions at the time I'll be fishing. If I win this Classic, I’ll consider that a huge accomplishment. 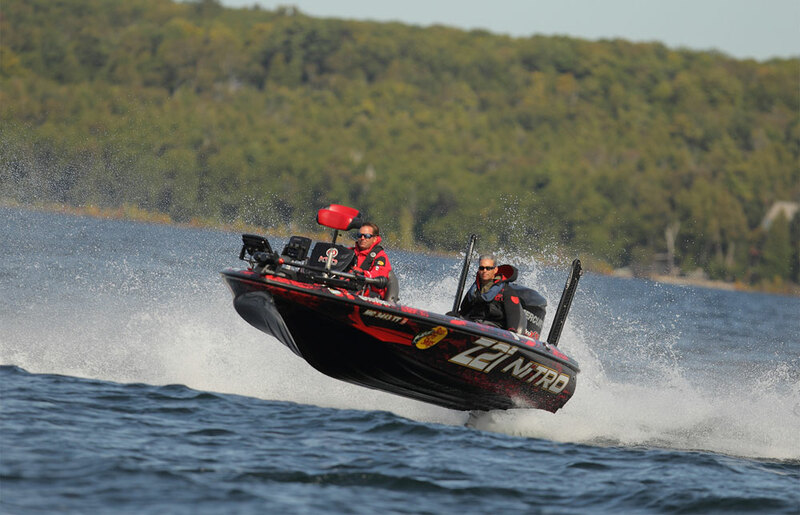 The anglers, the fans and the fishing industry all view the Classic as the biggest event in bass fishing for the year. It carries the most prestige and mystique and was started in 1971 by Ray Scott. There even was a mystery Classic one year when the anglers got on an airplane and didn’t know where they were going, or what body of water they would be fishing until they arrived. As the Classics evolved through the years, you were limited to the amount of tackle you could take, and the number of rods you could fish. There have been many other major bass fishing tournaments, but none of them can compare to the prestige of the Bassmaster Classic each year.